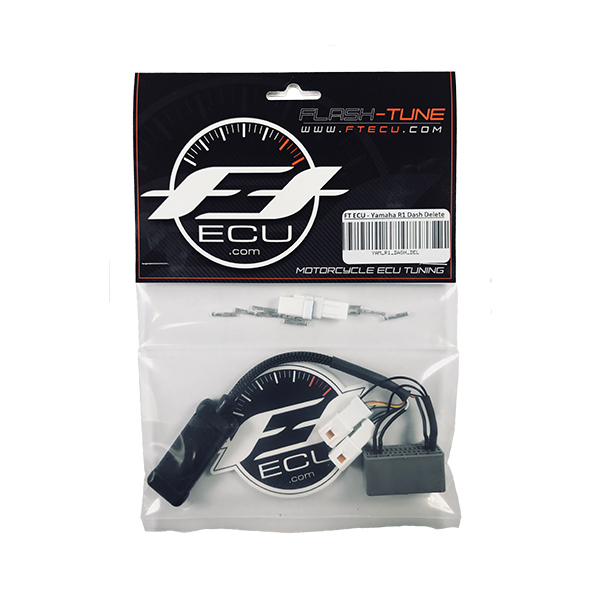 FTECU 2015-2018 Yamaha R1 Dash Delete now allows you to replace the factory dash with an aftermarket unit and retain full switchable electronic assists. For off-road track use ONLY! Stock, the bike runs the mode switches to the dash which means you cannot remove the factory dash and be able to change power modes. The dash delete allows for use of aftermarket switch pods wired for dedicated mode functions, in order to change your electronic assists on the fly. We include the matching connectors, pins, and weather seals for wiring of your switches. Visit the Document Center for more information on wiring your switches to our Dash Delete unit. Slide Control is locked to off. QSS is locked to mode 1. TCS, LIF, and PWR modes save to the last setting once the bike is powered off. Race Team Package flash is preferred but not required.